Dominic Dagdagan as Fly Guy with Katie McGee and Benjamin Nguyen. 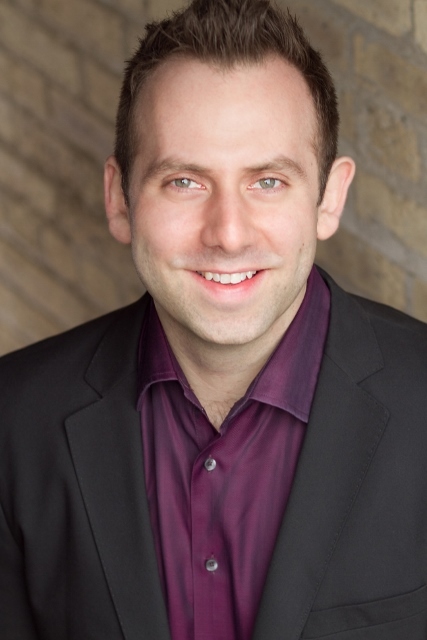 But this musical, which Austin Zumbro wrote, inspired by Tedd Arnold’s “Fly Guy” books, also accomplishes something loftier, which is to channel a child’s appreciation for the banal, even the germ-ridden — something adults in the audience could learn from. 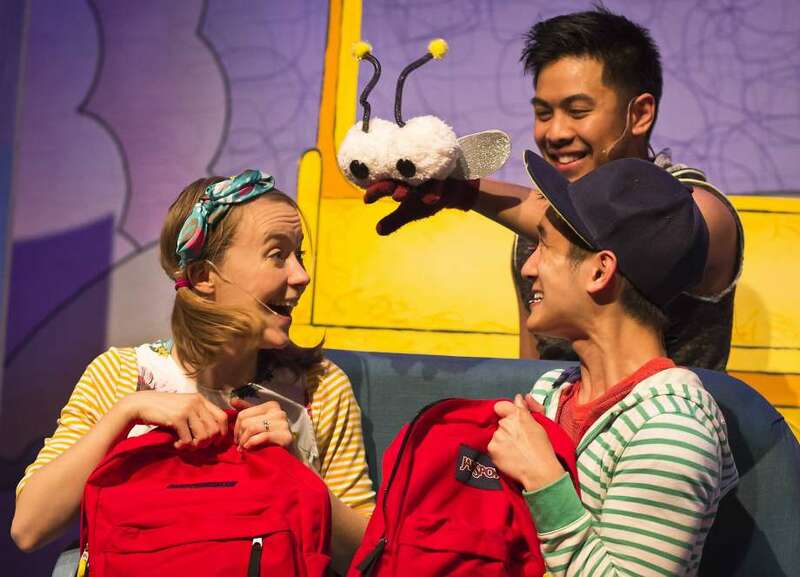 The production follows Fly Guy (Dominic Dagdagan) as he goes from pest to pet at the hands of a benevolent young human, fittingly named Buzz (Benjamin Nguyen). Executive artistic director Nina Meehan conceived the show and directs. Recommended for ages 4 and older. “Goosebumps the Musical: Phantom of the Auditorium,” opened this weekend at the Newmark Theatre, and it retains the Stine signatures: campy horror, personal growth for the tween protagonists, and a supernatural twist in the final pages. Based on the 24th book in the series, the musical is the logical, initial adaptation to launch what may develop into a stage franchise that could run for decades. 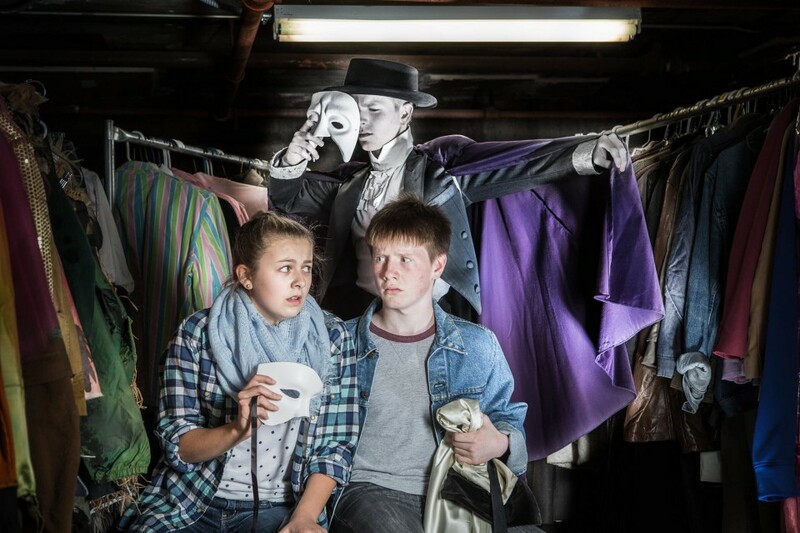 The play mostly takes place in a middle-school theater, and the ghostly phantom is one of the author’s least gruesome villains, which dials down the fear factor for younger theatergoers. 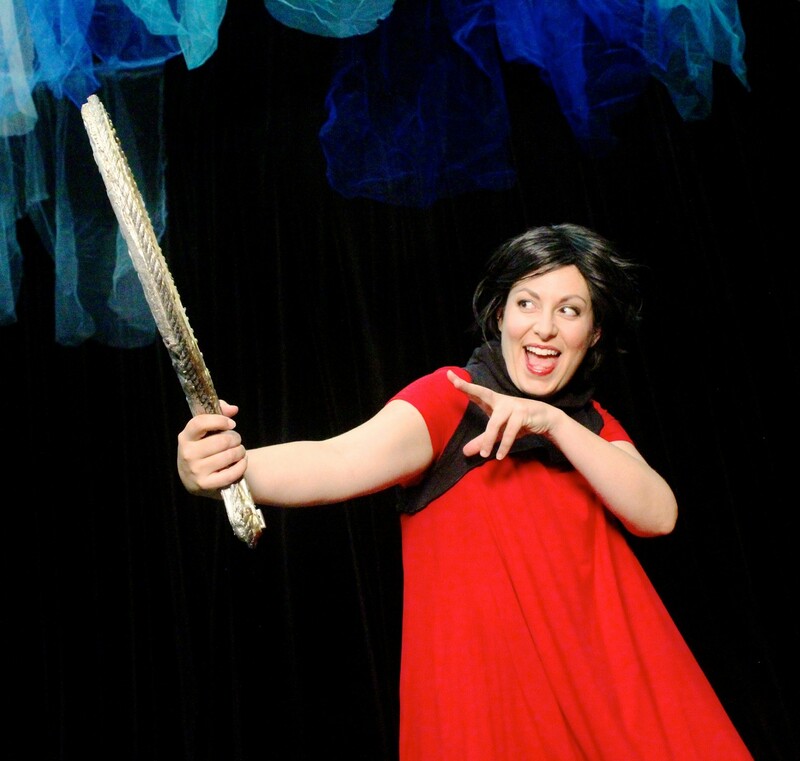 (Oregon Children’s Theatre suggests the show is a fit for ages 8 and up.) And the story is no sillier than Andrew Lloyd Webber’s overblown version of Gaston Leroux’s chiller, but here there’s no pretension, no tacky chandelier trick and no faux operatic caterwauling. Line of the Night: “The show must go on. No one’s going to scare me off. It’s my time,” aspiring lead actress Brooke (Katie McClanan) proclaims after she’s fed up with the phantom’s antics. 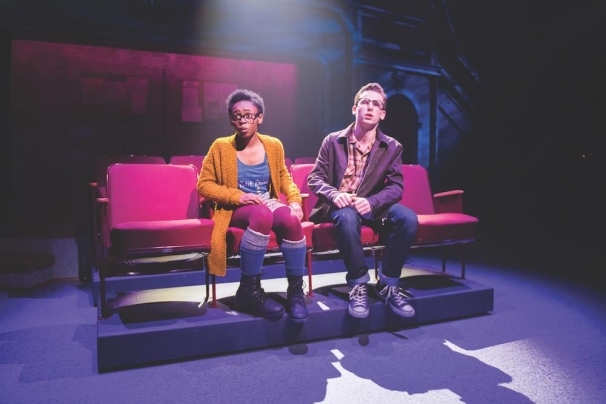 Strengths: While the movie was a nostalgic feast for young parents who devoured two or three books over rainy weekends during their tween years, John Maclay’s play chiefly serves kids. And that feels absolutely correct. There’s no need for clever winks to Stephen King or cameos from Stine’s stable of other creatures. (Although the opening number, “Goosebumps,” delivers a quick shout-out to Slappy the demonic ventriloquist’s dummy, who’s the unofficial mascot for the series.) We can limit our nostalgia intake and let the kids discover all of the frightful fun for themselves. Danny Abosch’s creepy, slightly pop score sounds much more suited to Stine’s material than Danny Elfman’s erratic, overly cute instrumental arrangement for the recent film. In fact, Sony Pictures should grab the play’s opening song for the upcoming “Goosebumps” movie sequel. This is one of those rare musicals with a tune that sticks in your head, playing over and over, days later. Most Significant Performances: Drama teacher Ms. Walker (played by Laurie Campbell-Leslie) and her convincingly anxious, spacey, funny and determined middle schoolers are a credit to theater geeks everywhere. The young cast owns their characters’ idiosyncrasies like natural personal traits. McClanan handily pivots from tenacious, Tony-bound thespian to an adorably awkward crushing tween. As Zeke — a hyperactive, junior Johnny Knoxville whose pranks finally backfire — Skylar Derthick is all-heart, no Ritalin. He chews through his scenes with good-natured ferocity, like a hamster chewing through a shoebox. Take-away: Small scares, little life lessons and a title track that, for better or worse, you’ll take to your grave. Read the full article by Lee Williams for The Oregonian here. Grace (Talia Robinson) decides she’d like to represent her third-grade class in “Grace for President” at Children’s Theatre of Charlotte. If a musical that explains the electoral college sounds like theater detention, skip the rest of this review. But you’ll miss out on an hour of fun in “Grace for President,” the world premiere now at Children’s Theatre of Charlotte. 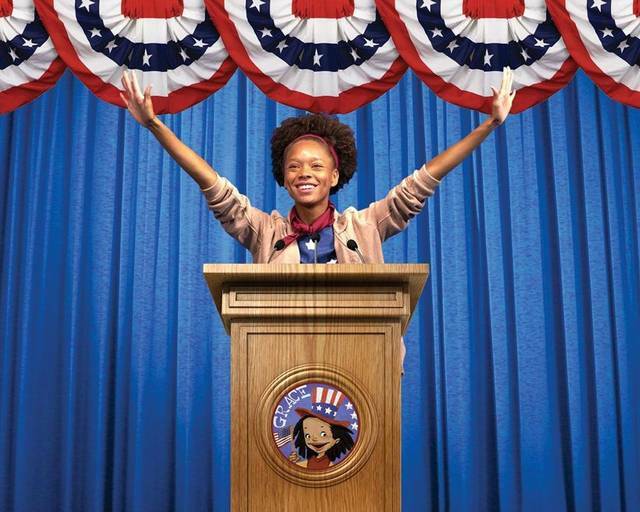 Your child might tell you the story comes from a 2008 book by Kelly DiPucchio and illustrator LeUyen Pham, in which a third-grader looks at a wall full of presidential portraits and asks, “Where are the girls?” Grace decides to run for class president and, because uncontested elections take place only in dictatorships, an opponent is found: Thomas Cobb, a superachiever with an ego the size of his C.V.
What your child doesn’t yet know is the cleverness with which composer-librettist-playwright Joan Cushing has converted this narrative to a musical. We get a harmonized hymn to maleness in “Boys Boys Boys,” a plaintive song about participation in “My Vote Counts,” and a hip-hop showstopper in “The Democracy Rap” that borrows from the “Hamilton” playbook. Yet Cushing makes a lot of good points: We should vote for the person best qualified for the job, not the blowhard who makes empty promises with no intention of keeping them. Long-term policies, not short-term gratification, matter most. Shy or hesitant people need to be invited to participate, whether in a school cafeteria or life. And a single vote can sway an election, as all historians know. She tells the story so rousingly that children in the audience were cheering for Grace and Thomas by the end, like nominators at a political convention. 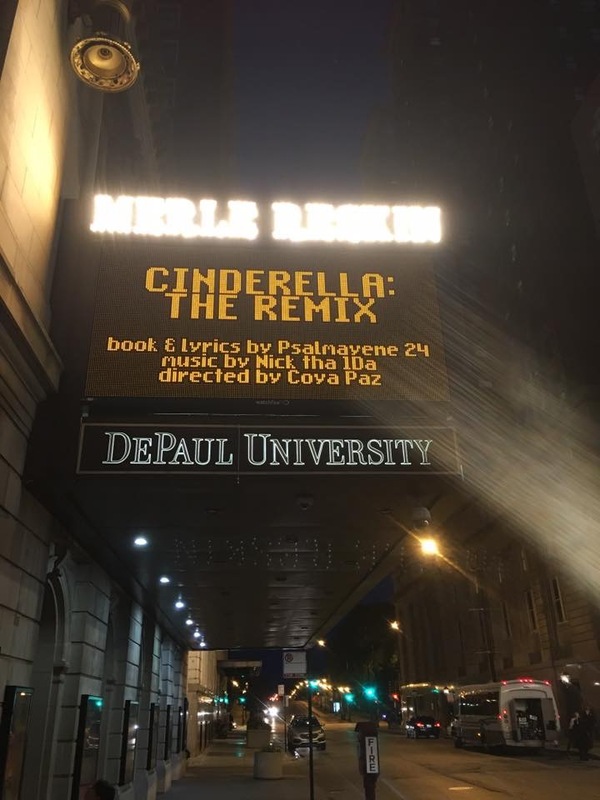 Director Michelle Long, aware that politics can be a staid subject, keeps things moving cleverly: At one point, the student portraying Washington gets “rowed” across the classroom on a movable desk by fellow students. Talia Robinson’s energy, a combination of exuberance and justifiable irritation, makes the progressive Grace a charmer. Read the full article by Lawrence Toppman for The Charlotte Observer here.